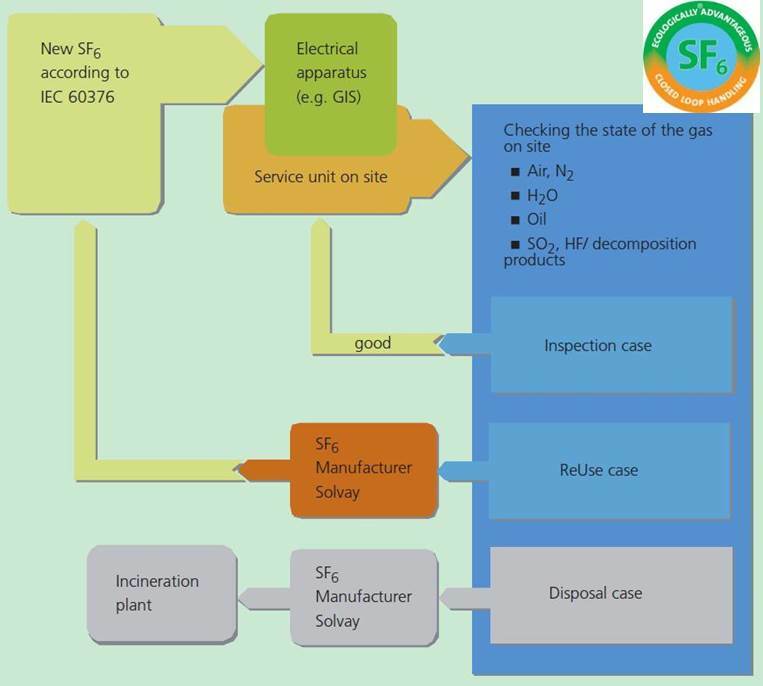 Sulfur hexafluoride (SF6) must be recovered and recycled Solvay Fluor offers a worldwide recycling service for SF6 in Bad Wimpfen (Germany) and in Onsan (South Korea). The United Nations Framework Convention on Climate Change (UNFCCC) has recognised Solvay’s SF6 recycling efforts and registered a particular SF6 recovery and reclamation Clean Development Mechanism (CDM) project in South Korea. SF6 is a highly efficient, highly valued insulating gas for medium and high voltage equipment. SF6 serves to simplify the design of switchgears, mainly through size reduction, quietness, and reliable handling and maintenance. As SF6 has a very high Global Warming Potential (GWP), its emissions must be carefully avoided. 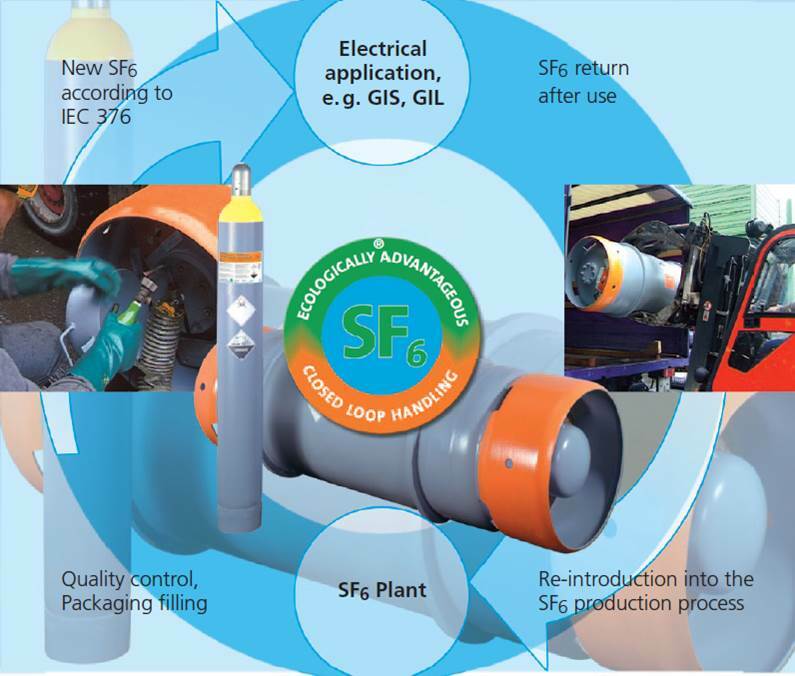 Thus the Solvay SF6 Re-Use Process – available to all users – is one of the main backbones of industry efforts to avoid SF6 emissions and convert it to new virgin product exceeding all industry specifications. Via the Solvay SF6 Re-Use Process it is possible to re-process all returned volumes into new, virgin SF6 with only a minor portion still needing be incinerated due to unacceptable contamination levels (less than 1% of returned material). Through the treatment of used SF6 within Solvay’s Re-Use Process, emissions of more than about 20 million tons of CO2 equivalent have been avoided to date. The interpretation of the EU legal definitions of end-of-waste and by-product might wrongly lead some to consider used and potentially contaminated SF6 as a waste, which makes the cross-border shipment more administratively burdensome.